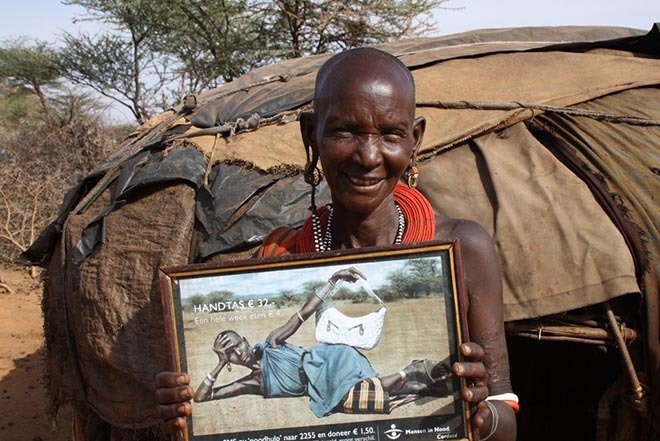 Eight years ago, Cordaid People in Need, the Cordaid brand that helps provide emergency aid, launched a campaign called “Small Change, Big Difference”. The Dutch campaign won advertising awards and attained viral status. 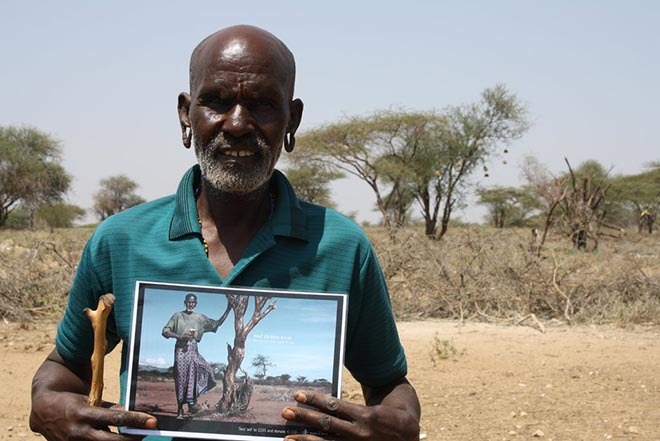 In 2007 men and women from the Samburu people in north Kenya were photographed for the campaign, posing with sunglasses, aftershave, beer and a handbag. In 2015 Cordaid brand manager Judith Maat traveled back to Kenya to visit Letipila, Elisabeth, Tirinti and Paraput to explore the impact of Cordial’s drought management program and find how the four “models” were living now.